At the helm of our leadership are the four principles which are second generation of Kinseth Hospitality. Linda Skinner, Leslie Kinseth, Bruce Kinseth and Gary Kinseth. Each Principle has uniquely special skills that attribute to overall success of Kinseth Hospitality. All of them started out by operating their own full service hotel and restaurant in the late 70's and throughout the 80's. As they evolved, so did the company. The 1990's were a decade of growth and opportunity for the partners. Bruce oversaw and continues to oversee the main hub of the organization located in North Liberty, Iowa. Centralized accounting and administration for all the properties became a primary focus for growth. Area Managers were added to oversee additional properties under Bruce's direction. Leslie Kinseth developed Kinseth Development and Construction services. Linda honed in on her design skills and worked along side Leslie, in design, construction and procurement for their growing portfolio. Gary leads the Sales and Marketing corporate team in revenue management, developing solid sales team at each hotel and coming up with company initiatives that lead to sale growth throughout the year. The third generation has now stepped up to the plate and work in various roles throughout the organization. Kinseth currently has a workforce of over 2000 Associates, Managers, Accountants, and Operational Directors. 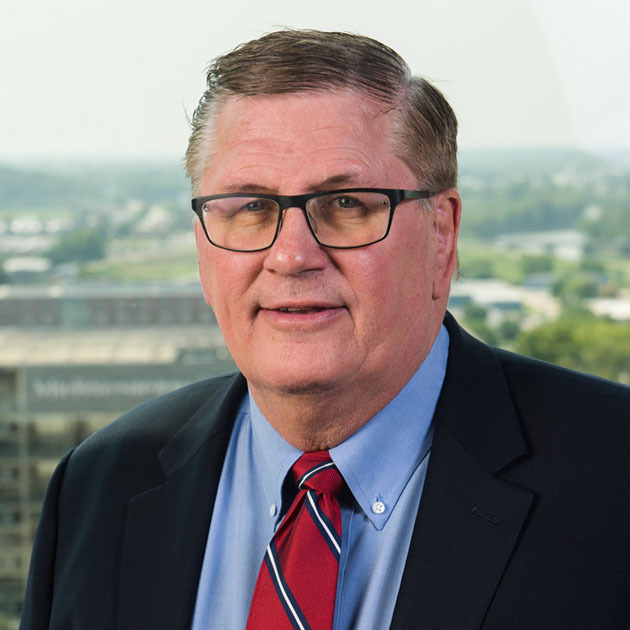 Les Kinseth is the President of Kinseth Hospitality Companies overseeing the company’s involvement through all hospitality acquisitions, new developments, new construction, major repositioning, and renovations. In his role as president, he oversees new property development for Kinseth Hospitality and is involved in negotiation with management contract partners, franchise organizations, third-party vendors (including contract execution with architects and general contractors), and equity investors. In addition to his duties as President, Les serves as head of Development/Construction Services and Facilities Management. His duties in this role include supervision of all capital improvement planning, asset management, and construction/renovation procurement for the company. He oversees the architect and general contractor for new construction projects and for the re-development and re-conception of existing hotels. His passion is cultivating a tremendous entrepreneurial spirit within the company through positivity, leadership, and ambition. Through his intense dedication to motivate his associates and demonstrate an uncompromising work ethic he ignites a vision for future growth. His educational experience includes over 35 years of experience in the hospitality industry including growing up in the business, working for his father in all areas of hospitality operations. Knowledgeable in many areas Les sets the direction for the entire Kinseth Hospitality portfolio, including construction planning and renovation. Les was instrumental in moving Kinseth Hospitality into the role of General Contractor on a number of new hotel development properties and thousands of rooms. Highly competent in all facets of the hospitality industry, he drives the company’s success by utilizing his hospitality experience for the benefit of all of our guests, owners, and employees. In addition, our ability to draw from his extensive hotel experience maximizes the performance of the entire corporate organization of each hotel. He received a BBS from the University of Iowa in 1980 and started in the hospitality business that same year. 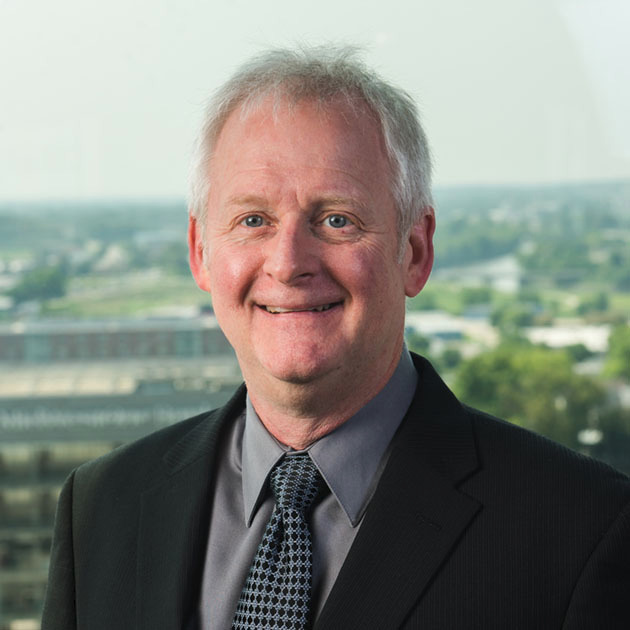 Bruce Kinseth is the Executive Vice President for Kinseth Hospitality overseeing the development of each functional department within the company. In his role, he is actively involved in all facets of operations, including finance and accounting, sales and marketing, human resources, operations, asset management, franchise communications, and relations, hotel development, construction, and renovation. Bruce is passionate about creating a strong team atmosphere while working to achieve Kinseth Hospitality Companies, investors, and managing partners goals. He pushes his team to provide data-driven results for maximum growth potential. His educational background includes over 35 years of experience in the hospitality industry including growing up in the hospitality industry while working for his father. Bruce has experience with all brands and virtually all sizes and types of operations, from limited-service hotels to full-service hotels with banquet and convention space, as well as independent and nationally-branded restaurants. He has participated in the acquisition of all the hotels for the Kinseth portfolio, including those from direct acquisitions and third-party hotel management contracts. He has been named a Receiver by the Court for various banks and institutions and has also administered private equity investments for hotel investors. Knowledgeable in many areas across the hotel industry, as Executive Vice President of Kinseth Hospitality, Bruce has seen the company grow from a portfolio of three hotels, with $5,000,000 in revenue and 150 employees, to that of a fully integrated hospitality company, with the operation of over 65 hotels, 6 branded restaurants under multiple franchise brands, and the employment of more than 3,000 employees. 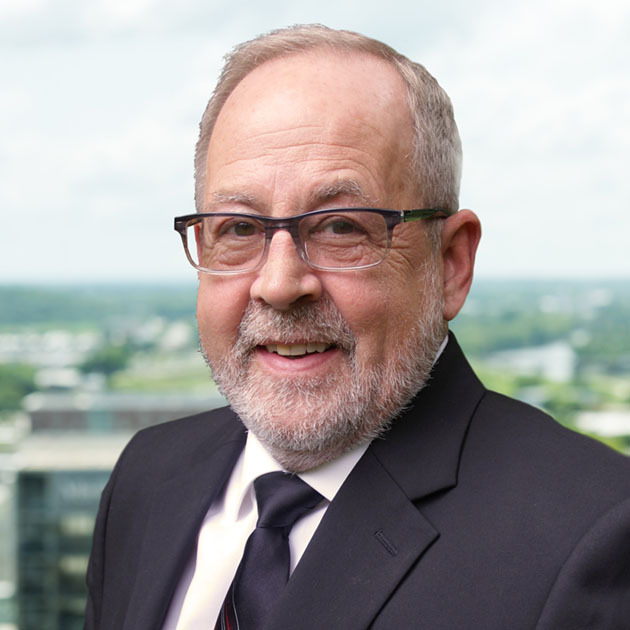 From sales and marketing to the negotiation and implementation of labor contracts with the unionized hotels, Bruce has been instrumental in maintaining strategic and operational plans for Kinseth Hospitality. He received is BBS in Business from the University of Iowa in 1981 and started his career in the hospitality industry that same year. Bruce has been invited as a guest speaker and panelist at many hotel conferences, including conferences regarding distressed real estate assets. Linda Skinner is a Vice-President for Kinseth Hospitality responsible for the overall direction and management of hotels located across Omaha and Lincoln, Nebraska, Council Bluffs, and Des Moines, Iowa, Kansas City and Columbia, Missouri. Linda oversees hotels and restaurants with brands and franchises for Marriott, Hilton, and IHG on a daily basis. In her role, Linda also oversees interior design for new hotels and ongoing renovations for the portfolio. Linda is passionate about design and transforming any space no matter its condition with current interior design trends. Her educational background includes over 35 years of experience in the hospitality industry. She has led the initial takeover, start-up and conversion for many hotels in the Kinseth Hospitality portfolio, ranging in size from a 78-room Holiday Inn Express to a 300-room, full-service Holiday Inn featuring 15,000 square feet of banquet space. Linda launched her career in 1981 when she became the Director of Sales and Marketing for the Best Western Crossroads in Council Bluffs. There she supervised all food and beverage aspects of the hotel. In 1985 she became General Manager of the hotel. She continued her efforts in Council Bluffs with the startup of the first Convention & Visitors Bureau (CVB). She was appointed President of the CVB and eventually as Ambassador for Council Bluffs. In 1992 Linda was designated as a Certified Hotel Administrator. She then became heavily involved with the interior design of Kinseth Hospitality properties, becoming a Director of Operations in 1997. Linda’s hotels have won many franchise awards including the Torch Bearer Award from Holiday Inn for the Council Bluffs - Holiday Inn, and from Marriott for the Columbia, Missouri-Courtyard by Marriott (Diamond Award winner for the #1 ranked Courtyard in the Central United States region for Quality and Guest Service). 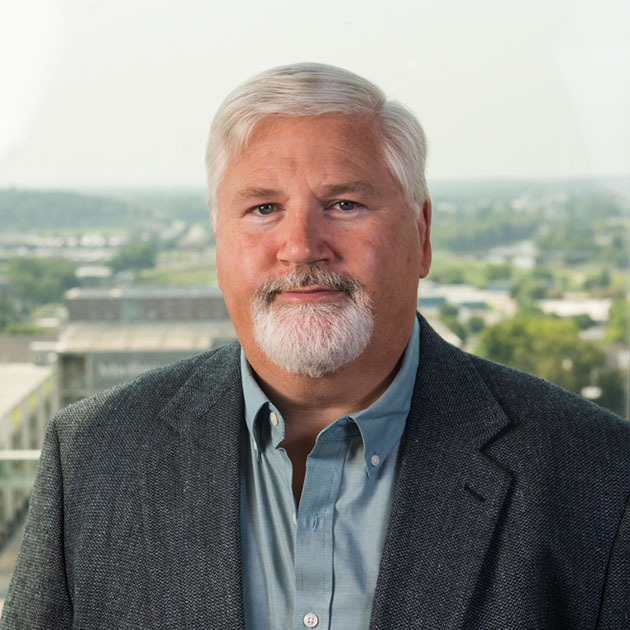 Gary Kinseth is a Vice President for Kinseth Hospitality overseeing our corporate sales, marketing, e-commerce, revenue, and regional teams and is the Director of Operations at multiple properties and hospitality projects. Gary and his corporate team are responsible for marketing, revenue, and e-commerce strategy. His passion is continually evaluating our strategy to move Kinseth Hospitality Companies and our properties forward in our ever-changing technological marketplace. 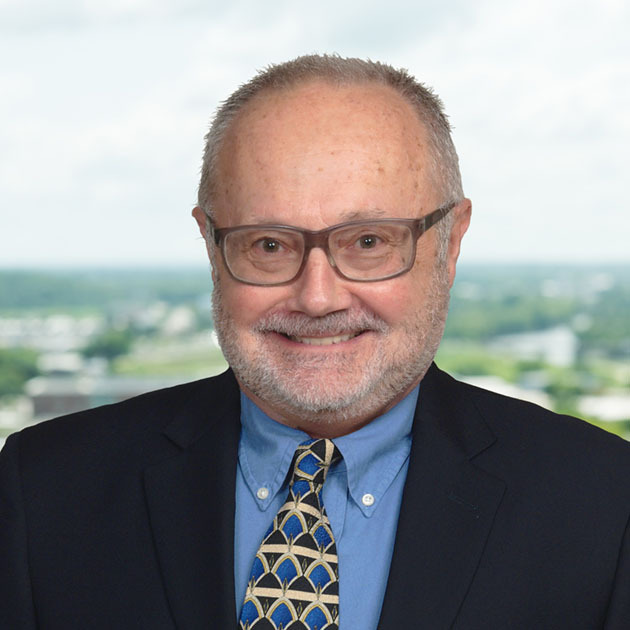 His educational background includes over 30 years of experience in the hospitality industry including vast experience with full, select and economy service hotels, sales, marketing, and revenue strategy, and catering, and restaurant operations. From his early years working in the family business to his current position as Vice President of Kinseth Hospitality Companies, Gary has served as General Manager and Director of Operations for economy to full-service hotels and restaurants and has also coordinated and opened numerous properties for Kinseth Hospitality Companies. Knowledgeable in many areas he is experienced with multiple brands including Best Western, Carlson, Choice, IHG, Hilton, Marriott, Wyndham, as well as independent brands. Gary's continued focus on the future helps drive the success of his corporate teams and properties. 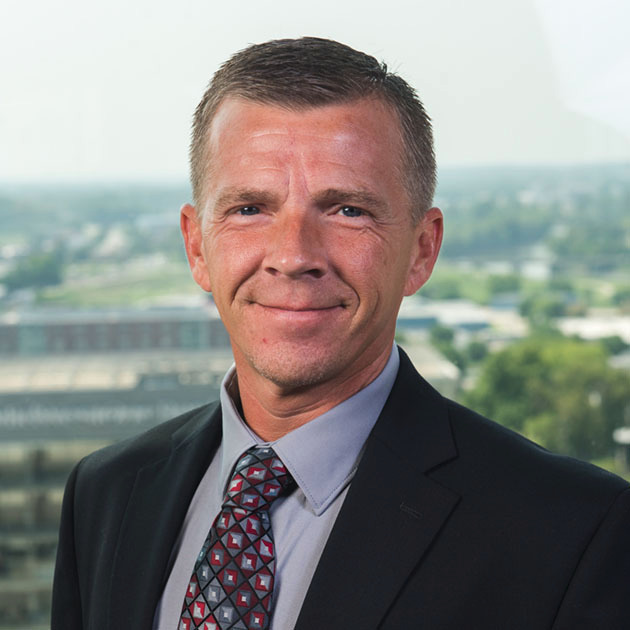 He attended Kirkwood Community College and the University of Iowa and received his BLS in Business and Communications from the University of Iowa in 1988, received his CHA certification in 1989 and has multiple brand training and certifications. Nicole Wright is the Corporate Controller for Kinseth Hospitality. In her role, she oversees the accounting, payroll and IT departments. She is responsible for managing the company's general ledger, financial statements, cost accounting, payroll, accounts payable, accounts receivable, budgeting, tax compliance, and various other special analyses. Her passion is accounting and teaching people how what they do affects the numbers. Her educational background includes over 20 years of experience in the hospitality industry. During her time in Las Vegas, she worked at several hotel properties including the Sands Hotel and Casino, MGM Grand Hotel, Boulder Station Hotel, and Casino. She continued her career auditing Casinos and Hotels for 5 years. She recently began her career with Kinseth Hospitality after relocating to Iowa to be closer to the family. Jeff Schrader is the Director of New Business Development for Kinseth Hospitality. In his role, he is responsible for securing third-party management contracts for hospitality properties, joint-venture contracts for the development of hotels, and the growth of company-owned and operated properties. His educational background includes over 35 years of experience in the hospitality industry. From 1977 through 1980, Jeff held numerous hotel training positions with Westin and Aircoa hotels at locations in Chicago and Kansas City. He then pursued hospitality accounting and consulting assignments with Pannell Kerr Forester in Atlanta, completing market/feasibility studies, operational reviews, and economic evaluations for a variety of clubs, hotels, and restaurants. From 1985 through 2002, Jeff held franchise sales and development positions with Holiday Inns, Dunkin’ Donuts, Starwood Hotels & Resorts, and Prime Hospitality Corporation. Knowledgeable in many areas he has been responsible for the growth and development of numerous hotel brands including Holiday Inn, Holiday Inn Express, Four Points by Sheraton, Sheraton Hotels, and AmeriSuites. He joined Kinseth Hospitality in July of 2002. 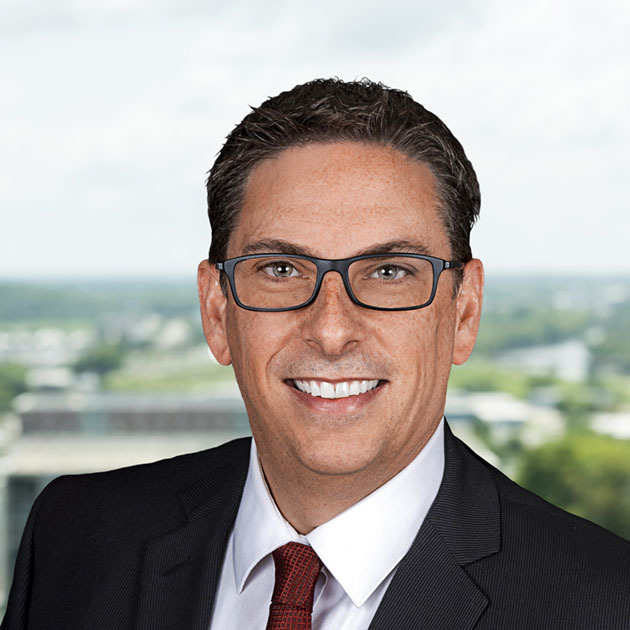 Jeff has participated in numerous hotel conferences, most recently acting as a panelist at the Midwest Lodging Investors Summit and has also participated as a guest lecturer at Kendall College in Chicago. He received his BA from the University of Wisconsin-Stout in 1977, and his MBA from the University of Missouri-Kansas City in 1982. Ben Kinseth is a Director of Operations for Kinseth Hospitality Companies and a third generation leader at Kinseth Hospitality overseeing renovation planning and execution, hotel financing and refinancing as well as assisting in strategy for the overall direction of the Kinseth portfolio, new developments, and acquisitions. Ben works closely with a variety of ownership groups; Ben is instrumental in investor relations, communication, and asset analysis. He is also a Director of Operations for Kinseth properties where he oversees the day to day operations of on-site General Managers. His passion is working with our owners, investor groups and general managers providing an approachable style of leadership. His educational background includes more than 30 years of experience growing up in the hotel and restaurant industry. Ben contributes a wealth of knowledge from holding multiple positions within the company at both the hotel level and corporate oversight. His previous hotel management roles include hotel General Manager, Traveling Manager, and Restaurant Manager. From a very young age, Ben has been immersed in the hotel and restaurant businesses holding positions including front desk, housekeeper, night audit, front desk agent, server, bartender, dishwasher and cook. Knowledgeable in many areas of operations from a young age Ben has seen Kinseth Hospitality grow from a portfolio of three hotels, with $5,000,000 in revenue and 150 employees, to that of a fully integrated hospitality company, with the operation of over 70 hotels, 6 branded restaurants under multiple franchise brands and the employment of more than 3,000 employees. 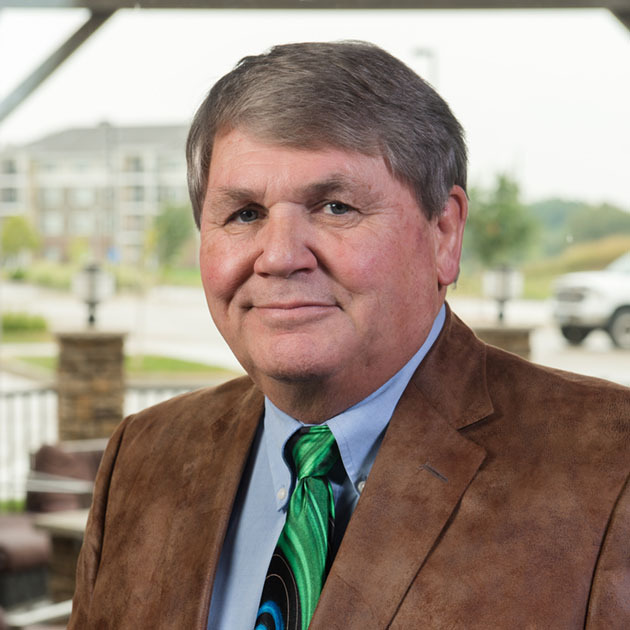 Ben has had significant involvement in the development and construction of over $150,000,000 in new hotels and conference centers throughout Iowa and the Midwest. Shana Craven is a Director of Operations for Kinseth Hospitality, overseeing a portfolio of hotels in Western Iowa and Eastern Nebraska. In her role, she works closely with hotel General Managers and Directors of Sales helping them achieve financial success and guest satisfaction performance. In addition, she assists the corporate Sales and Marketing department at Kinseth with strategic planning. Her passion is helping others succeed by providing support, training and on the job mentoring. Her educational background includes over 20 years of experience managing Hilton hotels. She grew up in the heart of the hospitality industry living in a hotel until the age of 12. Beginning work at an early age, she gained extensive knowledge taking on every role in hospitality, from bus girl to night Manager on Duty. 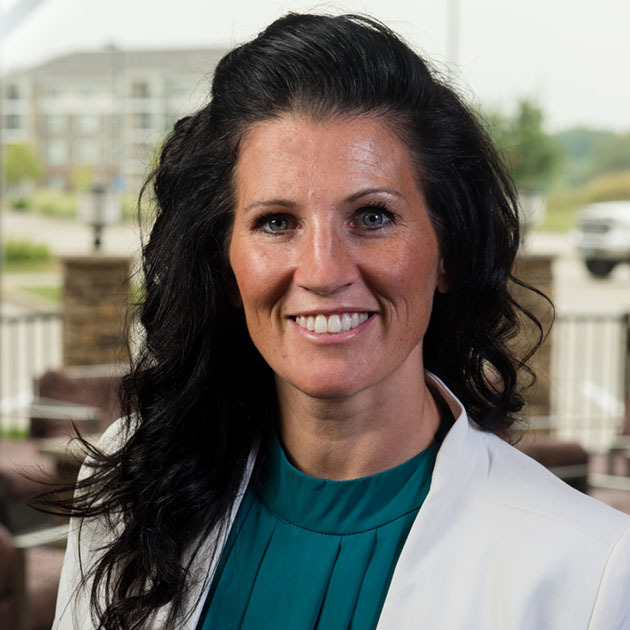 Shana moved away for a few years and worked in the fitness industry as a personal trainer for the Navy but came back to the hotel industry and accepted her first professional role as a Catering Sales Manager at the Holiday Inn and Suites in Council Bluffs. From there she continued to build her career and became a General Manager for Hampton and Hilton Garden Inn properties. Shana has extensive knowledge in opening properties including the Hilton Garden Inn Omaha. She has opened over 5 Kinseth properties, 3 of them being ones she has managed. Shana has a degree in Hospitality Business Management from the University of Phoenix. Joe Maitrejean is a Director of Operations for Kinseth Hospitality overseeing a number of restaurants, full-service hotels, and limited-service hotels operating under brands including; Bennigan’s Grill & Taverns, Green Mill Restaurants, Holiday Inn, Hilton Garden Inn, DoubleTree, Fairfield Inn by Marriott, Hampton Inn & Suites, Sleep Inn, Comfort Inn & Suites, and Candlewood Suites. In his role, he works directly with his teams pushing them to achieve the highest set of standards in all areas of operations, sales, and marketing. His passion is providing a hands-on style of management pushing accountability among his team members and follow through. His educational background includes over 35 years in the hospitality industry where he started his career in hospitality as an executive chef. He began working for Holiday Inn Worldwide soon after and immediately moved up into higher positions of responsibility, operating as Director of Food and Beverage and General Manager. Joe was also a Traveling Manager for a large number of hotels in the Holiday Inn Worldwide portfolio. Knowledgable in many areas Joe has been the opening Director of Operations for many hotels within the Kinseth Hospitality portfolio, including brands such as Hampton Inn & Suites, Candlewood Suites, and Sleep Inn by Choice. He has been the Director of Operations for a number of distressed hotels where Kinseth Hospitality has been named as the Receiver by the Court. Joe's high attention to detail complements his broad experience in hospitality operations and guides his management strategies to levels of excellence. He graduated from St. Paul’s Culinary School in Minneapolis, Minnesota. He joined Kinseth Hospitality in 1997. 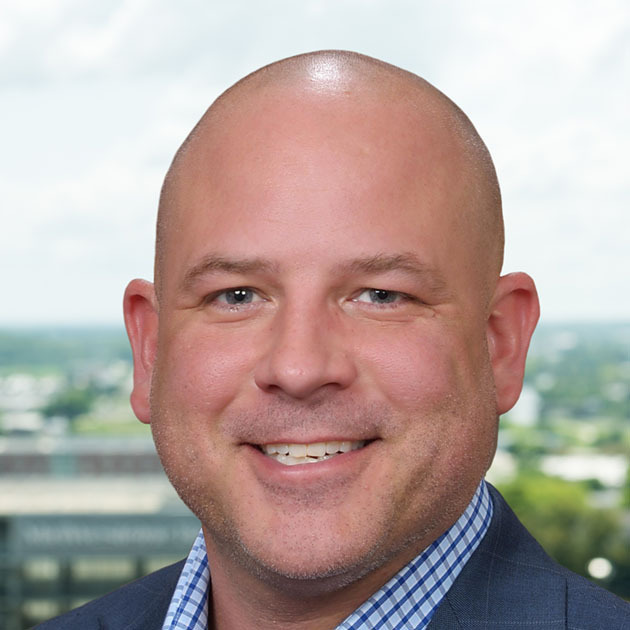 Will Harrington is a Director of Operations for Kinseth Hospitality Companies, overseeing a variety of hotel properties across multiple brands including IHG, Marriott and Hilton, throughout the states of Kansas, Oklahoma, Wyoming, and Louisiana. In his role, he works closely with his hotel managers and restaurant managers to provide strong ownership returns. His passion is focusing on guest satisfaction and developing strong leaders who can effectively manage a hotel and their team in order to drive financial performance. His background includes over 20 years of hotel management experience. Will began his career in hospitality with Bristol Hotel Corporation before joining Grand Heritage Hotels, Starwood Hotels, Hospitality Management Corporation, and Platinum Portfolio. During his career, he has received many accolades. As General Manager of the Holiday Inn Wichita, Will and his team received IHG’s 2016 Quality Excellence Award. Knowledgable in many areas throughout his career, he has worked in all aspects of hotel operations and provides hands-on knowledge to his hotel properties. Will has a deep understanding of food and beverage and has also managed franchised restaurants. His experience ranges from small select-service hotels to full-service hotels, conference centers, and beach resorts. In addition to franchised hotels, Will has worked with several independent hotels and restaurants in developing concepts, repositioning, and openings. His strong background in hotel operations, food, and beverage, renovations, as well as sales and marketing makes him a strong asset for Kinseth Hospitality. 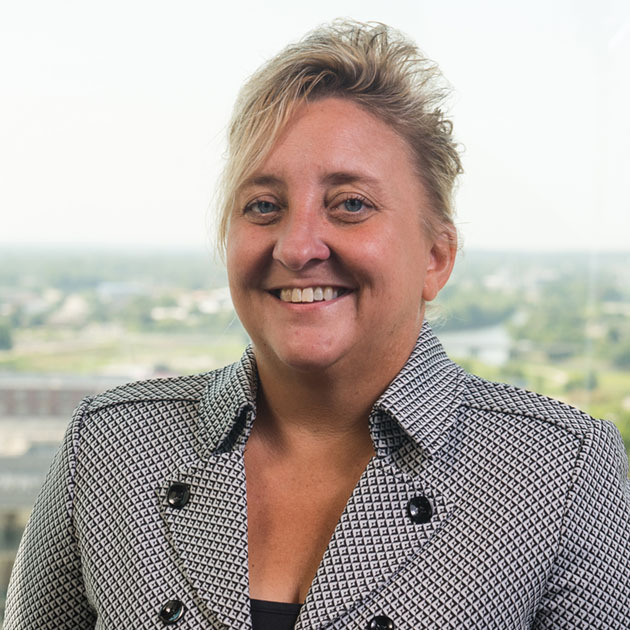 Connie Schlichting is a Director of Operations for Kinseth Hospitality, overseeing a portfolio of full-service hotel properties in Eastern Iowa and Western Illinois. In her role, she works closely with her General Managers, Director of Sales, and Food & Beverage Managers to ensure financial success for Kinseth, Investors, and managing partners. Her passion is taking an immersive hands-on approach and teaching by example all while sharing her vast knowledge with her properties. Her educational background includes over 20 years of experience in the hospitality industry working across several brands including Hilton, Marriott, and IHG. During this time Connie has worked every aspect of the business with an especially strong skillset in operations, and food and beverage. At the start of her career with Kinseth, she was tasked with opening several Bennigan’s locations including overseeing construction and operations of each of the facilities. From there she transitioned into a Regional Food & Beverage Director overseeing 6 Bennigan’s restaurants as well as hotel banquet operations. During her tenure, she also became a General Manager of duel hotel properties. During her career, she has received many accolades including both General Manager and Food & Beverage manager of the year awards for three different hotels and brands. Knowledgeable in many areas including but not limited to hotel demolition, renovation, and new build hotel projects, Connie’s experience ranges from hotel management and leadership to extensive food and beverage, and restaurant experience. Her attention to detail and vast knowledge of the industry sets her apart and makes her a great asset to the Kinseth team. Connie graduated from Washburn University in Topeka, Kansas with a BA in Education and minor in Psychology/ Sociology. 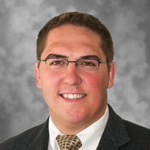 Rob Wartella is a Regional Operations Manager for Kinseth Hospitality Companies, overseeing a variety of hotel properties including economy, select service, and extended stay hotels throughout Wisconsin. In his role, he works with on-site General Manager’s to help achieve success in quality, customer service, and financial performance. His passion is working with his properties to achieve a common goal. His educational background includes over 20 years of hotel management experience. He joined Kinseth Hospitality in 2006 as General Manager for Country Inn & Suites at the Madison West (Middleton) location. Rob has been presented with many awards throughout the years including Teamwork, Quality of Excellence, Perseverance, Leadership, and Select Service General Manager of the Year all presented by Kinseth Hospitality. Knowledgeable in many areas including the daily operations of a given hotel, sales and hotel renovations, Rob provides practical leadership for his properties. Self-motivating and dependable under all conditions Rob’s expertise is a valuable resource for Kinseth Hospitality Companies. Rob studied at the University of Wisconsin Stout and earned a BA degree in Hospitality and Tourism Management. James Evans is a Regional Operations Manager for Kinseth Hospitality, overseeing a diverse portfolio of hotels within the organization including economy, mid-scale and extended stay hotels in Iowa and Illinois. In his role, he oversees all aspects of hospitality operations for his properties. Each interaction and property visit are committed to improving both top and bottom line revenue while maintaining a focus on quality and guest satisfaction. His passion is developing his teams to embrace all duties of their position, from financial accountability, impeccable quality assurance, sales, and marketing, to positive service culture and community involvement. His educational background includes over 20 years of experience in the hospitality industry working with several brands including Hilton, Marriott, Choice, and Radisson. James has been engaged in limited service, select service and mid-scale brands at every level. Soon after managing his first property, James was promoted to Area Operations Manager overseeing multiple properties receiving accolades, including multiple GM of the Year awards, as well as Quality Assurance and Financial Achievements. Following his success with previous management companies, James joined the Kinseth Hospitality team in 2011 and shifted to a Regional Sales Director. In this role James worked with a multitude of brands developing a strong sales force, positioning each property to outperform their respective competitive set. In his current position as Regional Operations Manager, James has a strong focus on quality, efficiency, service, and property sales. James takes all of this previous experience and embraces those experiences in his day to day management approach. Scott Lockwood is the Director of Purchasing/Technology for Kinseth Hospitality overseeing contractual negotiations and procurement of hotel operations providers and equipment, including elevator service agreements, life safety providers, chemical, pest control, and waste services companies, mobile phone communications, VoIP technology, and high-speed Internet access. In his role, he works to stay on top of emerging technologies and opportunities to bring real savings to the bottom line at Kinseth. Scott also assists in planning the Kinseth annual GM conference and trade-shows. His passion is problem-solving while taking an initiative to provide the best services to Kinseth Hospitality Companies and our portfolio at all times. His educational background includes growing up in the hospitality business when his parents purchased a motel in Mt. Vernon IA in 1969. He started with Kinseth Hospitality Company in 2000 as Director of Purchasing/Technology. Scott came into the company and assessed the current agreements that had been established with multiple vendors and then conducted audits on the programs resulting in major refunds and rebates owed to Kinseth Hospitality. Scott negotiated with multiple vendors and built a cohesive program for all Kinseth hotels and restaurants. Knowledgeable in many areas, Scott has worked all aspects of the hospitality industry including General Manager positions with Holiday Inn’s and Park Inns, Food & Beverage Manager position with Best Western Longbranch, management positions with Mortons of Chicago, Perkins and Orion Foods. Scott's operational background provides him with the ability to look at all aspects of a hotel and restaurant for cost-saving opportunities. The experience Scott gained working for these companies has prepared Scott for the position of Director of Purchasing/Technology with Kinseth Hospitality Companies. He attended South Eastern Academy in Kissimmee Florida. 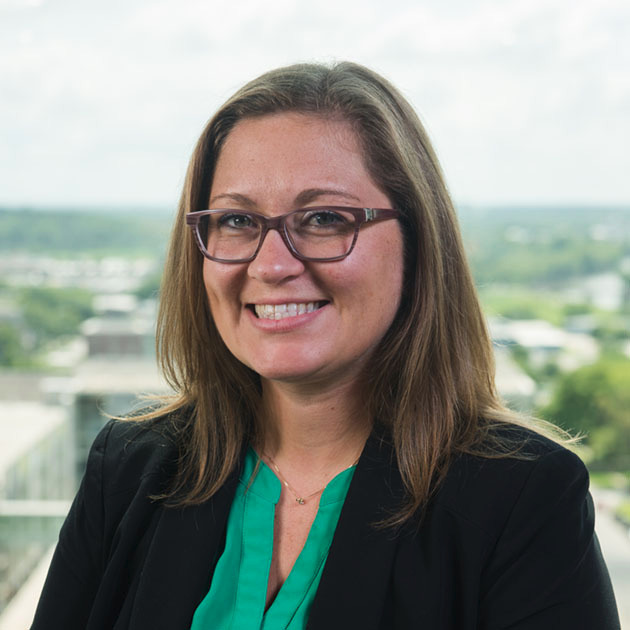 Stefanie Arnaman is the Director of Marketing and Revenue for Kinseth Hospitality Companies overseeing Revenue Management, E-Commerce, and Creative Marketing. In her role, she works with her team to maximize hotel revenue through effective inventory and pricing strategies based on future demand forecasts, current trends, and historical data. In addition, she oversees the E-Commerce manager and assists with developing strategies to drive online traffic to our company and portfolio websites. Together they coordinate website design, Search Engine Optimization, and photography for the portfolio. She also oversees the Creative Marketing Specialist by coordinating print media production and digital marketing projects. With a very successful hands-on approach to managing people, her passion is to develop her teams through successful leadership training and mentoring, to build creative marketing strategies and e-commerce solutions that drive measurable metrics and revenue, and to push each hotel in the Kinseth Hospitality portfolio to reach their goals. Her educational background includes over 20 years of experience in the hospitality industry with over 15 years in revenue management for Kinseth Hospitality Companies. Previous to employment at Kinseth Hospitality Stefanie held many different titles with Larkin Hotel Management Company and Interstate Hotels. She has worked as Human Resources Manager, Front Offices Manager, Sales Manager, and Revenue Manager. In addition, she has experience working with many brands including Hilton, Marriott, Starwood, IHG, Choice, Wyndham, Carlson, Red Lion, and Independent Hotels. She is a certified Revenue Manager with multiple brands. Her successful experience in hotel operations, revenue, and marketing strategies bring a wealth of knowledge to the Kinseth team. 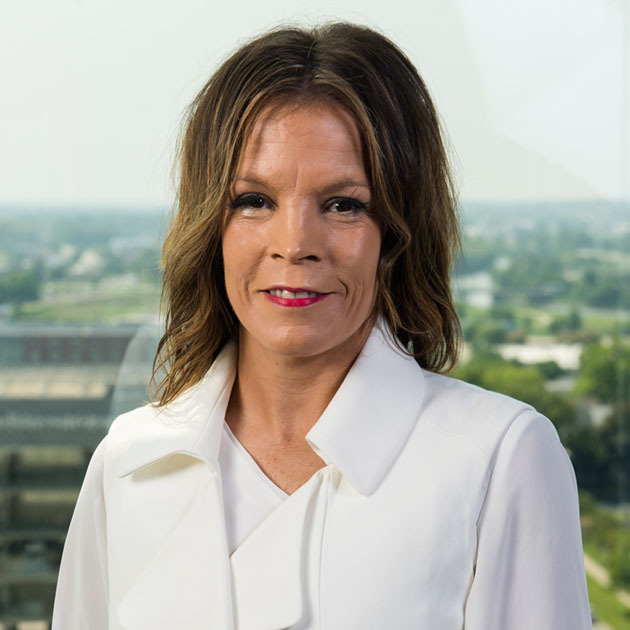 Shannan Barnes is a Regional Director of Sales for Kinseth Hospitality overseeing a portfolio of full-service, select-service and extended stay hotel properties in Iowa, Nebraska, Minnesota, Illinois, and Missouri. In her role, she works closely with the Director of Sales and the entire Sales team, along with each brand to ensure the success of each hotel. Her passion is coaching her teams with effective sales techniques and motivating them to reach their goals. Her educational background includes over 12 years in the hospitality industry working across several brands including Hilton, Marriott, and IHG. Shannan’s hospitality career started in operations at a full-service hotel which included over 300 guest rooms and 12,000 square feet banquet space. After 5 years she transitioned over to sales where she oversaw hotel sales teams as Director of Sales for several properties and brands. With knowledge and experience in opening new properties, property renovations, food, and beverage, event planning, catering and negotiating; Shannan is extremely resourceful and a very effective Regional Director of Sales committed to increasing the bottom line for our hotel sales departments. She is certified with Marriott Meetings, and Marriott Extended Stay EDGE programs. In addition, she holds a Marriott Edge Coach certificate and has completed Hilton Director of Sales training levels 1 and 2. Cathy Lockwood is a Regional Sales Manager for Kinseth Hospitality, overseeing a portfolio of select service and extended stay hotels. In her role, she coaches hotel General Managers and Sales staff into a profitable hotel management team by providing a well-rounded and creative approach to sales. 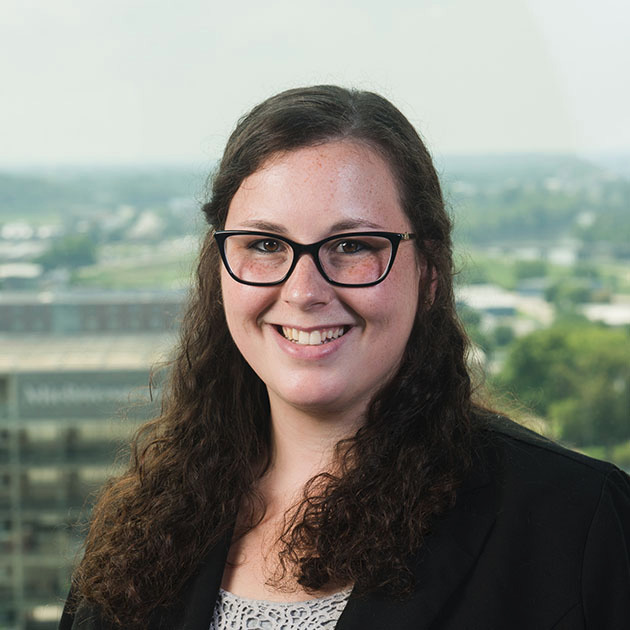 In addition, she assists with new hotel development projects working with managers and Kinseth corporate to organize events such as grand openings and groundbreaking ceremonies. She also assists with pre-opening responsibilities for Hilton properties. Her passion is sharing knowledge and leading her teams by example while providing a very hands-on approach to learning. Her educational background includes over 20 years opening and managing a diversified portfolio of national brand hotels. Through local partnerships, she was recruited by the Convention and Visitors Bureau of Iowa to helping promote tourism and partner with local business owners and leaders. Her experience in the hospitality industry also includes working for a wide variety of restaurants included co-managing one of the nation’s most successful “Melting Pot” Restaurants in Florida. Cathy was responsible for the opening phase and management of three hotels. (Hampton, Homewood Suites & AmericInn). Her knowledge of hotels, restaurants, and tourism provide the perfect foundation for training, collaboration, and support of General Managers, and Sales Managers with the ultimate goal of developing a successful sales oriented team to bring higher profits to Kinseth, owners, and investors. 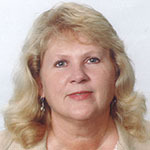 Cathy attended AAA travel school and the Hospitality Program at Valencia Community College in Orlando, FL. Janette Steffensmeier is a Revenue Manager for Kinseth Hospitality. In her role, she works closely with our hotel managers and their ownership teams to analyze markets and determine optimal product price points to help each property reach their revenue goals each year. Her passion is coaching both new and seasoned Hotel Managers on understanding revenue systems as well as enforcing proper use of the programs for optimal functionality. Her educational background includes over 13 years of experience in the hospitality industry working with revenue management systems across many brands including Hilton, Choice, Radisson, Wyndham, Best Western, and Hyatt. 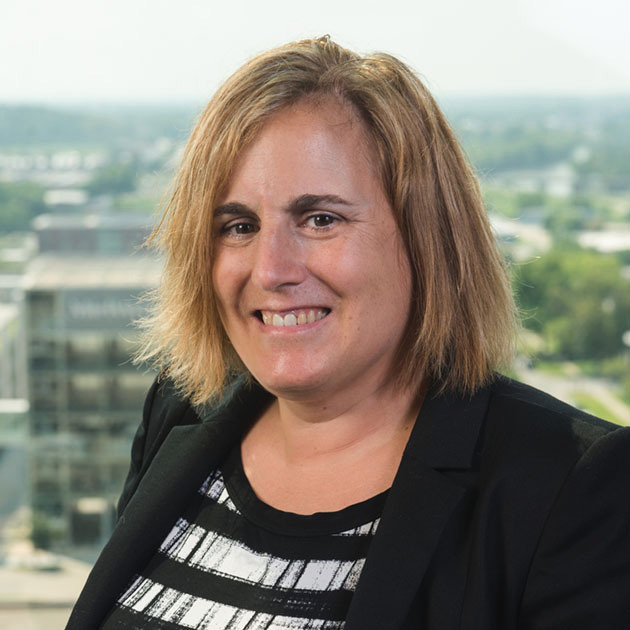 She began her career with Kinseth Hospitality in 2008 and has held several positions at the Holiday Inn Express in Coralville, Iowa working her way up to the management team. Knowledgeable in many areas Janette has been an integral part of Kinseth’s revenue management team working with nearly 50 properties including new builds, brand conversions, independent and receivership hotels. Her attention to detail, hands-on management style, and extensive understanding of each individual market Janette has been able to assist properties in attaining their revenue goals. 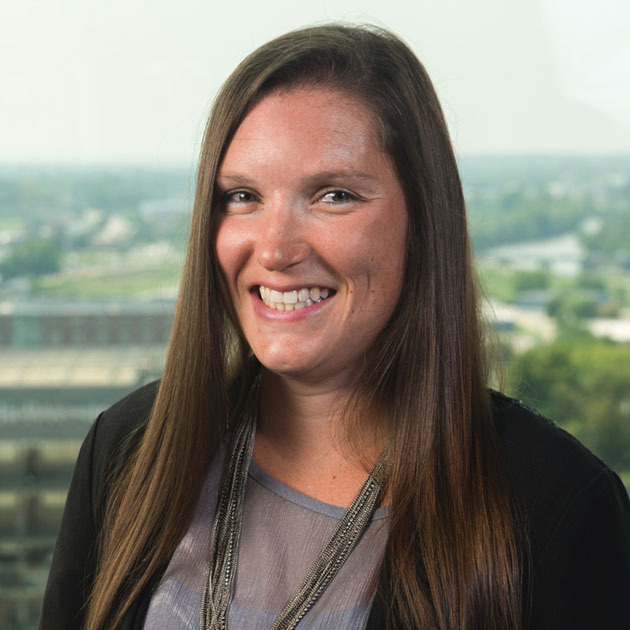 She received an accounting degree from Kirkwood in 2011 and joined our corporate revenue team that same year. Steve Abraham is a Revenue Manager for Kinseth Hospitality. In his role, he analyzes markets and works closely with our hotel General Managers and Director of Sales to determine optimal price points for each hotel’s individual products. His passion is ensuring customer satisfaction through exceptional hospitality while creating peak profitability for all the properties he works with. His educational background includes over 10 years of experience in the hospitality industry working in various roles at the property level before being promoted to his current position as Revenue Manager for Kinseth Hospitality Companies. He received his BA from the University of Iowa while working part-time as a front desk agent. Steve is able to master new skills quickly and goes above and beyond for his properties to help them maximize their success. Sarah Olberding is the Creative Marketing Specialist for Kinseth Hospitality, where she creates effective marketing and sales materials and graphics with a focus on brand standards. She has a passion to create collateral that is well designed and grabs the attention of the target audience. Since the beginning of her career, Sarah has focused on channeling her talent and creativity into meaningful and powerful results. She takes pride in her designs as well as the strong relationships she has built with clients and colleagues. Sarah firmly believes in working hard, working together, focusing on small details, and having fun along the way. Sarah joined Kinseth Hospitality in May of 2018 and brings 4 years of graphic design experience after graduating from Clarke University in Dubuque, IA with a Bachelor of Arts degree in Graphic Design in 2014. While away from the computer, Sarah enjoys photography, stringing thread through a needle, golf, playing and coaching volleyball, and spending valuable time with family.